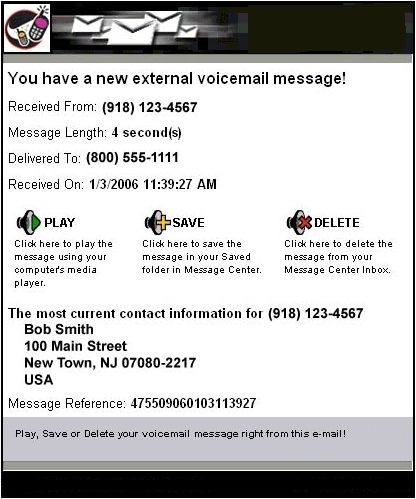 The moment a voice message or fax arrives in your system Unlimited Voicemail Plan e-mails a notification to you at up to two separate e-mail addresses. With the E-mail Notification feature you will be able to play, save or delete voicemail and faxes in real time from within the e-mail itself. You won’t need to download attachments. 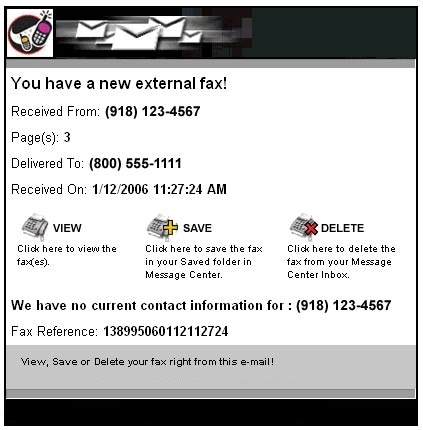 You don’t even need to log in to the online Web Center to access your calls and faxes. YES, your E-mail Notification will also provide you with a number of details regarding the call. You will see the phone number the caller called from, their name and address if listed in the White or Yellow pages, the call time, length of the message and even the Extension they left a message on! Instant email notification allowing you to play messages and view faxes from within your email. Through the E-mail Notification feature you get instant notification of all incoming calls and faxes. However, unlike other services, we don’t clog up your inbox with bulky file attachments.